Lest readers think "catastrophic" is too exaggerated a description for the critical defect affecting an estimated two-thirds of the Internet's Web servers, consider this: at the moment this article was being prepared, the so-called Heartbleed bug was exposing end-user passwords, the contents of confidential e-mails, and other sensitive data belonging to Yahoo Mail and almost certainly countless other services. The two-year-old bug is the result of a mundane coding error in OpenSSL, the world's most popular code library for implementing HTTPS encryption in websites, e-mail servers, and applications. 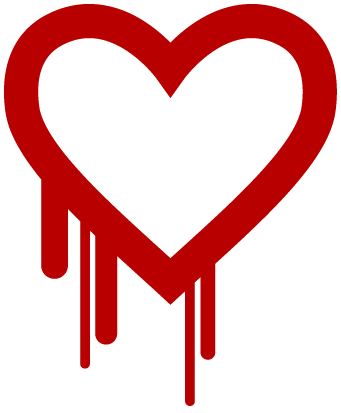 The result of a missing bounds check in the source code, Heartbleed allows attackers to recover large chunks of private computer memory that handle OpenSSL processes. The leak is the digital equivalent of a grab bag that hackers can blindly reach into over and over simply by sending a series of commands to vulnerable servers. The returned contents could include something as banal as a time stamp, or it could return far more valuable assets such as authentication credentials or even the private key at the heart of a website's entire cryptographic certificate.